← What a Fearless Squeeze! Middle men have always blocked new ideas and won reconciliatory middle ground in India. The inclusion of ETFs in the Rajiv Gandhi Equity Savings Scheme (RGESS) is one such example. While the matter of the difference of opinion between the Finance Ministry and the Securities and Exchange Board of India (SEBI) is interesting, the development is noteworthy since it could benefit us retail rats quite a lot. The thing is that equity remains shunned as an asset class by an overwhelming majority of small investors in 5% – 7% growing emerging India. Whatever little money does get invested goes into managed funds finds its way into the Mutual Fund coffers. ETFs offer a long term, cost efficient vehicle for parking money and are quite cheaper as compared to Mutual Funds. 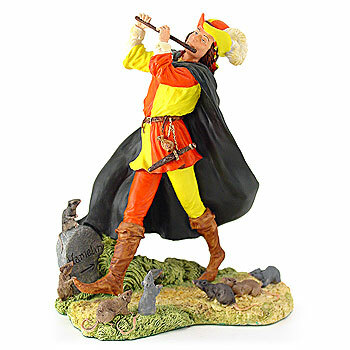 So if the retail rats don’t get it, why shouldn’t the Government play pied piper and lead them to the bourses. It certainly helps that the current Finance Minister (Chidambaram) is more taken to the merits of equity as compared to his predecessor. A part of him may even secretly look at the market levels as a barometer for his success. It’s also a great idea to pool in slivers of equity from profitable PSUs, bundle them into an ETF and offer it to investors. That way you don’t have to do an IPO/FPO for each constituent PSU and give some semblance of portfolio stability to the investment. How much this appeals to local financial institutions is the key question. It is institutional demand that really gave the initial impetus to ETFs in the US. The other factor is the capacity and standing of the sponsor has always been key during ETF issuances since a strong, well spread out sponsor will bring it the much need liquidity without which ETFs generally fail.